A list of lean high protein foods can help you find healthy sources of plant and animal protein. Getting an adequate amount of this macronutrient is necessary for tissue growth and repair, including lean tissue, such as muscle. Lean proteins are an essential part of your diet. You can obtain lean protein from both plant and animal sources. In most cases, you will need to combine foods from the plant world to obtain a complete protein. The following are excellent plant sources of lean proteins. 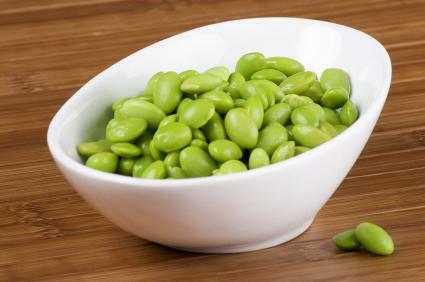 The non-soy proteins must be combined with another plant protein to form a complete protein. The following animal sources provide lean protein. While nuts and seeds contain high levels of fat, they are also good plant sources of protein, and they contain healthy monounsaturated and polyunsaturated fats, including Omega-3 fatty acids. As such, nuts and seeds can be a healthy part of a low-fat diet provided you practice portion control. Eating 1 to 2 oz. of nuts per day provides healthy protein and fats your body needs. Eating lean protein is an essential part of every low-fat diet. Forearmed with a little bit of knowledge, you can make protein choices that promote good health while helping you maintain a healthy weight.